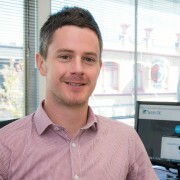 We are pleased to announce the appointment of Danny Hoare as a Senior Manager in our Launceston office. 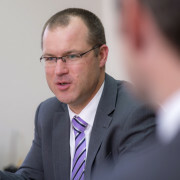 Synectic are proud to acknowledge director Ben Coull‘s appointment as the 2015-16 Chair of the Tasmanian Regional Council of Chartered Accountants Australia & New Zealand (CAANZ). Information on this webpage has been prepared on a general advice basis only. The advice has been prepared without taking account of your specific objectives, financial situation or needs. Accordingly, you should, before acting on the advice, consider the appropriateness of the advice having regard to your objectives, financial situation and needs. In cases where the advice relates to the acquisition, or possible acquisition, of a particular financial product, you should obtain a Product Disclosure Statement (or other relevant information statement) and consider such document before you make any decision about whether or not to acquire the product. Self-managed superannuation funds are not cost competitive for lower balance accounts and are not appropriate for all investors due to the time, cost and responsibility involved in managing an SMSF. For these reasons, it is imperative that you seek advice from your financial adviser before making any investment decisions.